Conducting meetings, conferences and workshops at sea on a cruise ship could indeed be an economical and efficient way to stage an event. Many things you pay extra for on land are all included in the price shipboard. Cruises are highly popular with attendees too. TTN will be on board Costa Pacifica in May to investigate the benefits of taking events to the ocean as opposed to keeping it traditional and land-based. Costa Pacifica is a 114,500-tonne cruise ship with 1,500 cabins and a maximum guest capacity of 3,780. It has five restaurants with appetising and exquisite menus; 13 bars serving the most exclusive cocktails, as well as chocolate, coffee and quality cigars; and a spa overlooking the sea. The ship offers a majestic theatre, Flamingo Casino and a library. The cruise, aptly nicknamed a symphony of emotion at sea, also offers an entirely exclusive feature: a real recording studio, with all the most sophisticated equipment, in which guests can record their own performances with the help of specialised technicians, to create a personal compilation of their holiday. So, what’s typically included in a standard Costa cruise? A cruise includes complimentary breakfast, lunch and dinner, complimentary afternoon tea, mid-night supper (terms and conditions apply). Complimentary and good-quality entertainment – theatre shows, karaoke, nightly party – is included and so are meeting rooms with equipment and technician’s support, use of fully furnished public rooms/venues for private meetings and events. A cruise offers complimentary health and fitness facilities, opportunity to visit multiple international destinations, multiple bars, restaurants and public lounge areas on site, variety of daily complimentary activities for spouse/partners, fully supervised age-appropriate day and night-time children’s activities, duty free liquor outlet, duty free shopping on site. This comes close to an all-inclusive, land-based package, but the cruise break offers the chance to explore several destinations with ease and comfort. A senior member of the sales team at Alpha Holidays, which represents Costa Cruises in the region, explains that on average, they have a minimum of four Mice Groups per year going for Costa cruises and they would like to see this number increase. These group take the Western Mediterranean sailings from Barcelona or Rome, which Costa offers all year round, and from Dubai - from December to March. “Twenty-three per cent of our cruise business comes from Mice and the balance is from leisure, including families traveling in groups for special occasions or a reunion and special interest groups. 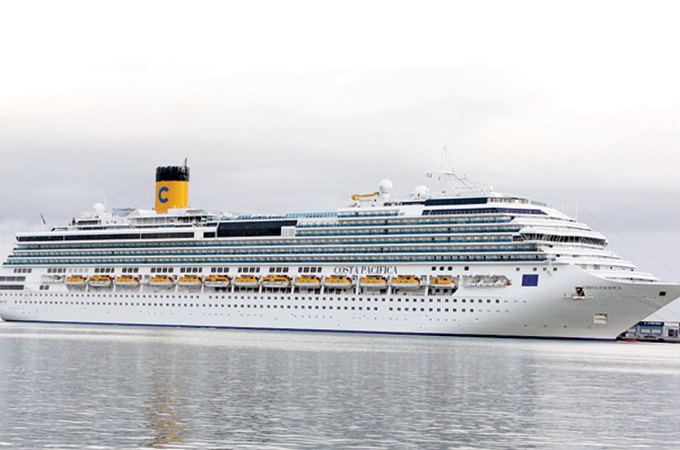 We are certain we can improve, with three-to-five night itineraries and attractive group rates and benefits offered by Costa Cruises,” says the spokesperson.